Starvation Alley Farms got its organic certification in October and is on its way toward proving you can grow organic cranberries and make a profit. LONG BEACH, Wash. — The operators of Starvation Alley Farms aim to prove general wisdom wrong by profitably growing organic cranberries. Jared Oakes and Jessika Tantisook began farming his parents’ 5-acre cranberry bog in 2010. In addition to that farm, they also own a 5-acre plot along U.S. 101 coming into Seaview. In October 2013, they completed the three-year organic certification process. They came into the with experience in vegetable farming, but raising cranberries is whole new ballgame. “You can’t just go out, plow the ground and plant seeds,” said Kim Patten, Washington State University Extension professor. Starting the switch to organic farming in 2010 added to their challenges. Where traditional farmers can use herbicides and pesticides to control weeds and bugs, Starvation Alley uses alternative approaches that don’t have years of research to back them up. They accept that they’re going to lose some production to weeds, but it doesn’t mean they lose the battle, Oakes said. Tucker Glenn, manager and owner of the 85-acre Jubilee Farms, said he uses a variety of methods to control weeds and pests, including herbicides and pesticides, but his focus is on a more sustainable approach. That means using herbicides and pesticides correctly. “We use the least amount possible,” he said. It’s better for the land and it’s cheaper too, he added. When it comes to weeds, “We pull, we spray, we wipe … we have a whole bag of tricks,” he said. The farm uses whatever works best, he added. Organic farmers use alternatives such as vinegar and hand pulling. Independent grower Chase Metzger is experimenting with manuka oil, a substance derived from a New Zealand tea tree, Oakes said. Lemon oil also works. “They’re also more expensive, though,” Tantisook points out. And they don’t come with instructions for application on cranberry bogs. 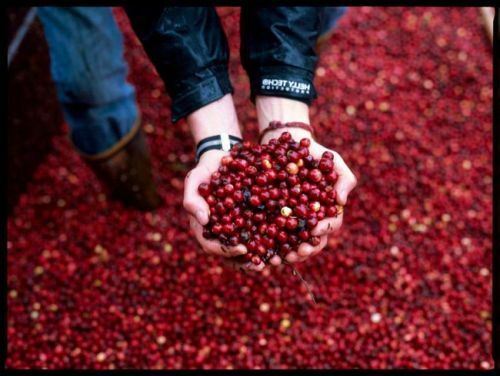 Read the rest of the story via Capital Press | Farm turns up the juice on organic cranberry business.